Page 43, Item 1 of the second of Teresa Vanderburgh's musical scrapbooks - program for a piano recital given by the pupils of Mr. Angelo M. Read at Elmwood School. June 16, 1903. 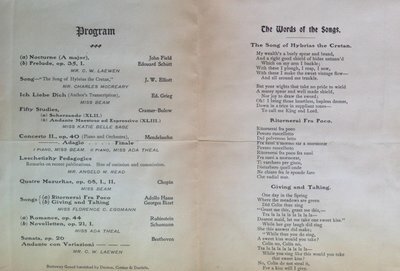 The program and the words to songs.